Have Your Children Set Goals? An Easy Formula For Them To Follow! Does your child have dreams and aspirations but does not know how to achieve them? Setting SMART Goals for your children is crucial in their development as intelligent and functioning adults. We have all been there, stuck at our desks contemplating about what our next move or strategy in life would be, but the question that one must ask themselves is not, where but how. How am I going to achieve this goal, and what are the steps in making my vision into my reality? 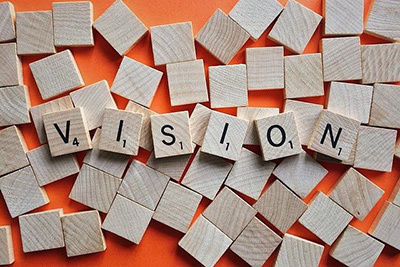 SMART Goals, or objectives that are Specific, Measurable, Attainable, Relevant, and Time-Bound can help and are essential in a further understanding of the world around them and for a more fulfilling and meaningful life. Here is how you can use the SMART Goal System to benefit you and your child in your future endeavors. Let’s use the task of completing an essay as an example for explaining the SMART Goal System. 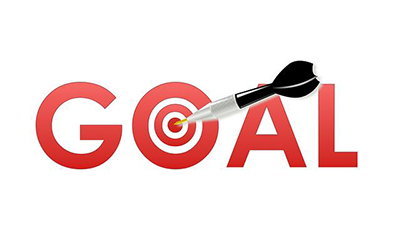 The ‘S’ in the SMART Goals System stands for Specific meaning that the tasks should be to the point and have a purpose or relate in some way to the primary goal at hand. For instance, when writing an essay, the task should not be broad or a general statement, it should be “Do Research on Catherine the Great” or “Complete Topic Sentences for each of the Body Paragraphs,” etc. The ‘M’ in the SMART Goals System stands for Measurable, thus something that has a deadline that one must meet and also so that one can track the child’s success over a certain amount of time. For instance, when writing an essay, once the instructor or teacher gives out the deadline for the essay, the student should first write down the date in their planner. Second, count out how many days he has to complete the essay (maybe leaving a few days to give a break). Finally, break up the tasks involved in writing the essay into the appropriate amount of time that the child might need to complete the task. An example of this would be break down the writing portion of the paragraphs. Also, this is important for parents because they can track their child’s progress throughout the assignment. If the child met the designated deadline, then he can receive a reward such as 30 minutes of game time or 30 minutes of playing with toys. If on the other hand, the child does not finish the assignment, then it is the parent’s job to determine the proper course of consequence, such as no video games, etc. 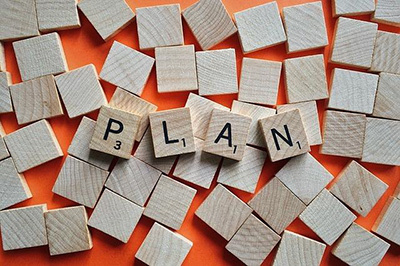 The ‘A’ in the SMART Goals System stands for Attainable, meaning that the task should be simple enough for one to complete within a timely manner. If one makes the task too difficult, the child will lose interest and not want to finish the assignment. On the other hand, if the task is small and simple enough to achieve, then the child will feel as though he is one step closer to achieving his goals. Something to keep in mind is when the child starts to become stressed about a particular task; tell him that this is only a small piece of the big picture, meaning to take it step by step. When writing an essay, tell him today, we will write the outline, tomorrow the thesis statement, and so on. The ‘R’ in the SMART Goals System stands for Relevant, and this is relative to each person. Relevant pertains to the task that the child is currently working on and reviewing whether that is going to help him in his future endeavors or help him reach the goals he has set? An example would be when writing an essay. The child can ask if this essay is going to help him receive an excellent grade in the class. If the answer is ‘yes’, then the path he is on is correct. The goals will be achieved and the assignment finished. If the answer is ‘no’, then more work needs to be completed. A strategy may need to be altered to reach the goals. The final letter in the SMART Goals System is ‘T’ representing Time-bound. This is important because a time limit being set on a specific task can be beneficial for a child in helping him stay focused. Let’s use the example of writing an essay again. If the assignment is due in seven days, than its best to set a goal to finish the piece by the sixth day. A start and end date to the assignment should be recorded, so the child is aware of how much time he has to complete the entire assignment. When assigning a time limit on a task, keep in mind that the use of electronics such as phones, tablets, gaming consoles, and computers can be a hindrance or a distraction to the child achieving their full potential. The SMART Goals System can help your child in so many ways, but most importantly, it can help him achieve and create goals by making dreams a reality. Implementing just one of the tips above can be a tremendous amount of help for your child and also his/her future. If your child needs some extra guidance in accomplishing his goals, then Dynamis Learning Academy is happy to help. You may contact us at https://www.dynamislearningacademy.com/contact/ to schedule a free consultation. We will discuss where your child is currently and set a successful path for him/her to follow in accomplishing his/her goals. Achieving goals is not impossible; it takes manageable steps and an action plan!